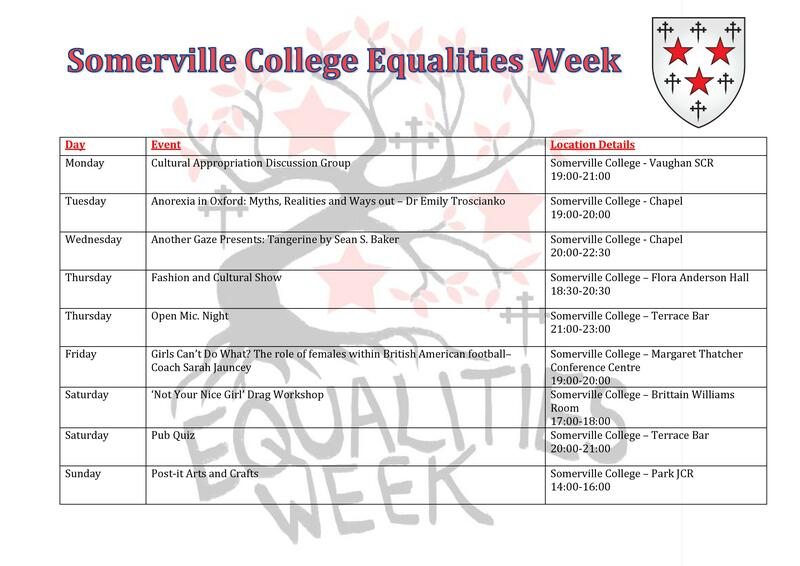 The Somerville Equalities Team would like to thank everyone who helped us reach our target and make the week a success. The week was fantastic, with successful events such as a cultural appropriation discussion and talks from Coach Sarah Jauncey and Dr Emily Troscianko providing informative discussions to those across the college. We also successfully raised over £150 for ‘Parasol’, a local Oxford charity who help disabled and disadvantaged children and youth at risk from social exclusion. None of this would have happened without your help. Thank you again for all your support.